What is the Difference between a Shower Valve with Stops and without Stops? 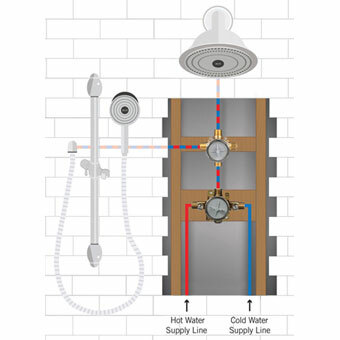 If you are confused about Shower Valves you are not alone. 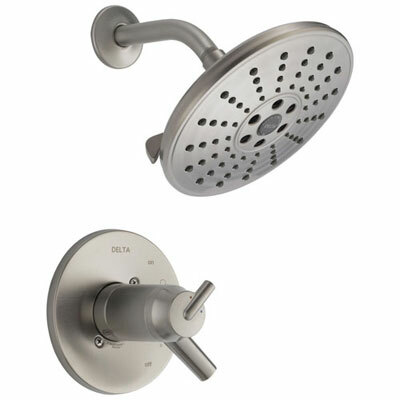 We get asked questions everyday about shower mixing valves and rough in shower plumbing fixtures. 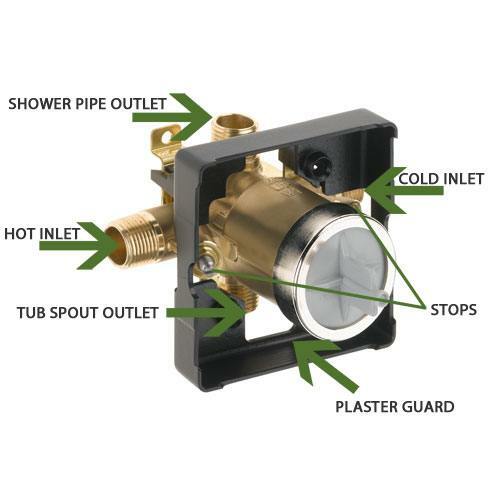 A Shower Valve is not something most people think about on a daily basis, but here at FaucetList.com, it's our business to know about this stuff. Therefore we've decided to write this article to educate you about Shower Rough In Valves. 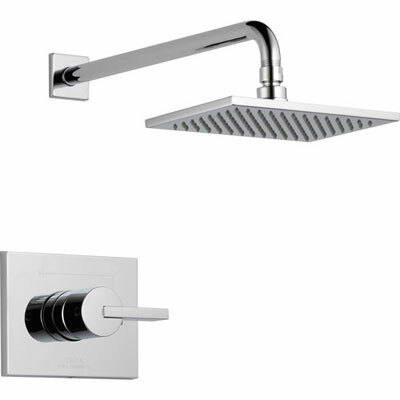 For detailed specifics on Shower Rough-in Valves, just keep reading! 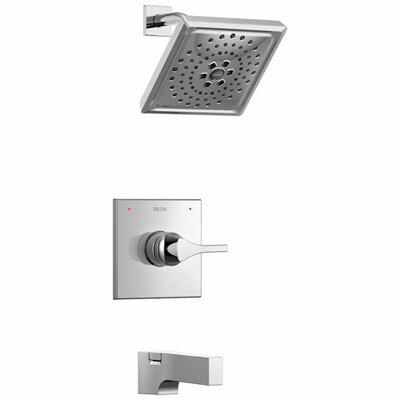 For a more general guide to showers check out our: Complete Guide to Delta Shower Faucets. 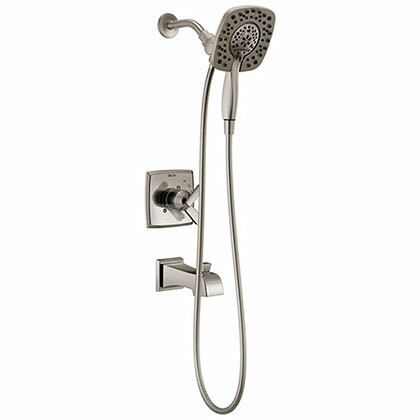 At FaucetList.com we offer many styles of shower faucet for sale on our site. 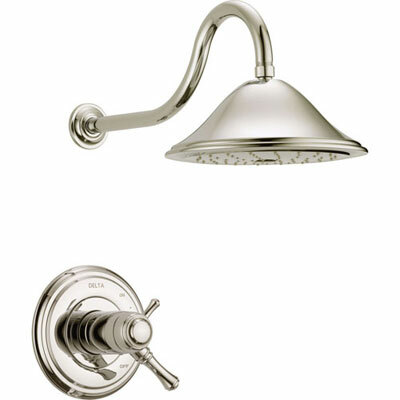 Typically in any full renovation or new home build you will need to purchase both a Shower Trim Kit and Shower Valve. 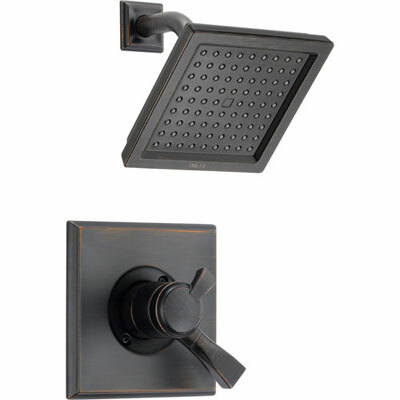 Many of our showers are sold complete with the trim kit and valve. This makes ordering easy and guarantees you will be buying compatible parts. Customers often ask us about the difference between two shower fixtures that appear the same, but have a different price. Almost always the difference is related to the shower rough in valve part that is included with each. Throughout this article you'll see a some examples of the exact same shower trim kit sold with either the valve with stops or the valve without stops. This allows you the ability to order whichever item you feel best suits your requirements. Once your new home construction or bathroom renovation project is long since completed, you may wish you had given a little more thought to which rough-in valve the plumber installed in your wall. Why do you ask? Well lots of issues can come up later when home owners make uninformed decisions about the rough-in valve they install. And once your shower is all tiled up, changing or repairing the valve can get expensive real quick. I know it's a little boring and you're probably overwhelmed with decisions. But this one might matter just a little more than a decision such as whether white, bone, cream, or off-white is best color for your light switches. That type of thing is easy to change later so what you choose now doesn't matter as much. A replacement rough-in valve for your shower is anything but easy to change. So take a moment and make an educated decision about this particular fixture. You won't regret it. What exactly is a Shower Rough in Valve? So let's get right into it. A Rough Valve is a REQUIRED PART OF EVERY SHOWER. Most people don't necessarily know what it is because it installs inside the wall and you never actually see it. Although hidden from sight, the valve serves a very important function. 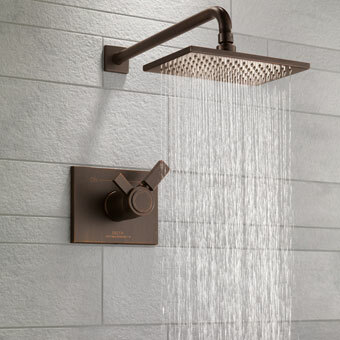 The rough-in shower mixer valve is the part of your shower that connects up with the hot and cold water lines in your home. 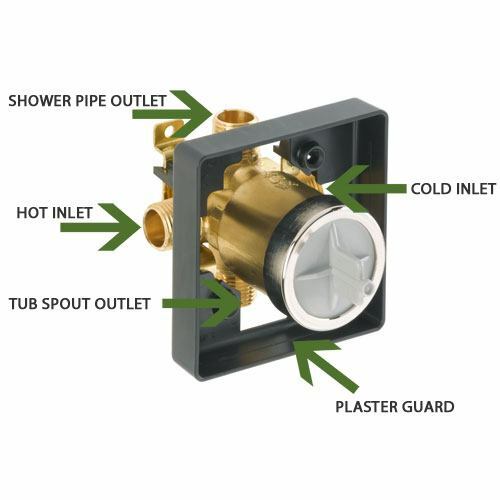 A Shower valve body rough in kit is the brass fixture inside the shower wall where the hot and cold water gets mixed to a comfortable warm temperature, perfect for your morning shower. 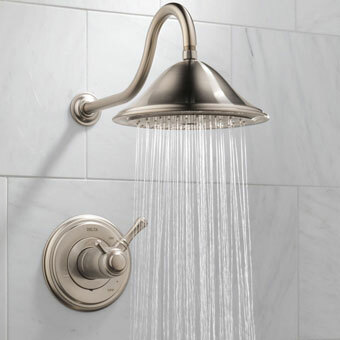 Once the hot and cold water is mixed, the shower rough in valve sends it out to the showerhead or tub spout. Where it goes depends on the style of shower trim kit you have. 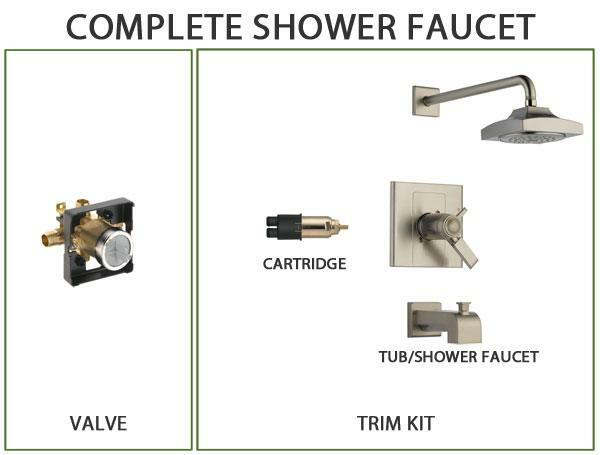 Regardless of the shower trim kit style, the valve fixture basically does the same thing. It mixes hot and cold water to create warm water suitable for your shower. 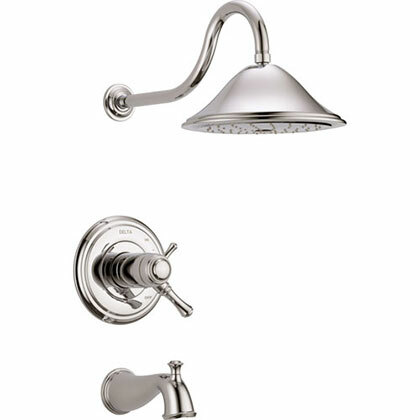 Most shower rough-in valves have 4 ports. 2 inlets for the hot and cold water pipes, and two outlets, one for tub spout and one for showerhead. If you have tub and shower combination trim kit you will use the top outlet port to supply the showerhead and the bottom outlet port to supply the tub spout. If your bathroom has a separate bathtub and you need a shower only faucet function, the Rough valve's bottom outlet port is be plugged. You will sometimes see a Shower rough in Valve with Stops referred to as having screwdriver stops or integral stops. They also can be called Shower Valves with Shut off Stops. All of these terms are basically interchangeable. 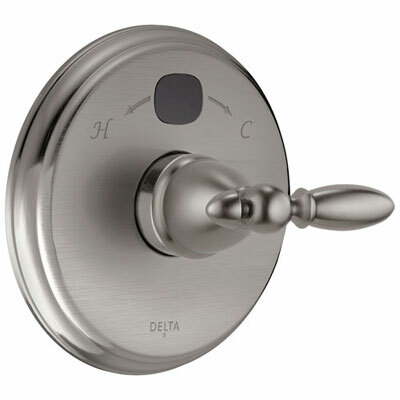 They reference shut-off devices built into the shower valve. Not all rough-in Valves have stops. They are not actually necessary in all installations. Keep reading to learn about use cases where you would want to have a valve with stops. How do you Access Shower Rough-in Screwdriver Stops? To access the stops, you first must remove the shower trim kit. Once it is removed you will see the stops near where the hot and cold water lines enter the valve through the inlets. Typically, all you need to do to turn the stops is get a screwdriver and rotate. Different manufacturers might work differently but it should be pretty obvious and easy to turn the stops and shut off the flow of water to the valve. Make sure to turn off both the hot and cold sides! How do you Operate the Shower Rough in Valve's Integral Stops? Typically the way you turn the shut off stops is with a screw driver. Hence the reason they are sometimes called screwdriver stops. They are pretty manual. Using a screwdriver to turn the stop interrupts the flow of water to the valve. You have one stop on the cold side and one on the hot side. The supply stop will stop turning when it is fully closed, and will remain water-tight. Why is it Useful to have a Shower Valve with Stops? Let's say your home has 4 bathrooms. You notice that one of your Showers is leaking. Time to call the plumber! Well once the plumber arrives, the first step to repairing a shower faucet is turning off the water. If the individual leaking Shower Valve has no accessible shut-off stops to allow the plumber to isolate that particular shower faucet, it will require them to use a stop further down the line. This might mean they need to turn the water off at the main shut-off valve. This is disadvantageous, as it will turn off the water to the entire house. So one Shower Valve with a problem has now required the plumber to shut off the water to all your other bathrooms, your kitchen, your hose, toilets, everything. Not good! A Shower Rough in with Stops solves this problem. In the same scenario, if your leaky Shower Faucet had a valve with stops, the process would be much simpler. The plumber would remove the trim kit, and use the integral screwdriver stops to stop the water flow to the individual leaky shower. While he is making repairs, the rest of the house will continue to have water as normal. This is better for you! While the plumber fixes the leak you will continue to be able to live as normal in the rest of the house. Think of a situation where the plumber needs to go out and get a part to fix your shower and the water will need to be off for a few hours. What if the plumber can't get the part today!? If you had the valve with stops you can just refrain from using that particular shower. So what? Use another bathroom, no big deal. If you don't have a valve with stops, you might be forced to go without water in your home for an extended period. If you've ever been camping you know that without running water many things become significantly more difficult. No shower valve stops might have you running for the in-laws or a night in a hotel. So if you had the choice, why not go with the valve with stops? If your wall is open you have the freedom to choose whatever style valve you want. A little careful consideration at this moment can save you a lot of trouble later. 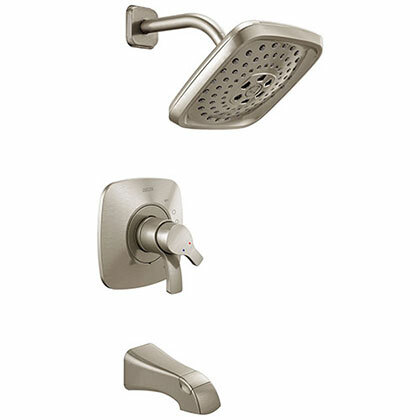 Think of stops as a specific shut off unit for each individual shower in your home. They allow you to turn off the water to that specific shower instead of to the entire house. This is convenient for future maintenance and repairs. The small additional up-front cost pays for itself in terms of time and hassle saved should a problem ever arise. Just how Useful are Shower Rough Valves with Integral Stops? Well this depends. We've outlined the use case for a single family home. To be honest though with a high-quality valve you may never need the stops. Even if you do need them, most of the time a shower valve repair will only take an hour or two. It's not the end of the world for the water main to be shut off during that time. Let's say every 10 years you needed to turn the water off for 2 hours. I think it wouldn't be much of an issue. Where shower valve stops become essential (and sometimes required) are in multi-family complexes. In condos and duplexes, installing a valve with stops is a no-brainer. You don't want one unit's leaky shower to cause everyone in the complex to not have water. In a large apartment building with 100 units, you'll probably have someone with a leaky shower every few weeks. It would not be acceptable for the tenants to lose their water that often. In this installation scenario stops are a must. Quick summary: In a single family home stops are nice but not essential. In a multi-family complex stops are a requirement. Is it ok to have a Shower Valve without Stops? Yes! Shower rough in valves without stops are by far the most common. They work absolutely as well in every way. The benefit of stops only has to do with repair and maintenance of the shower valve. It's much more common in single family homes to find Shower valves without stops. Often builders choose a valve without stops since they know it's not going to make a huge difference and they can save a little money. However, if you are buying the fixtures for your home and have the option to get the valve with stops we recommend you do so. The cost difference is minimal. Some plumbers don't like to use valves with stops in them. They will try to tell you that by the time it is necessary to actually use the shut-off valves that they won't seal properly any longer. Their opinion is that shower valve problems are so few and far between (we're talking many years) that the rubber gaskets in the stops may be of no use once they get too old. We do not share this opinion. We have seen way too many situations where having stops turned out to be very useful. Especially in commercial applications, valve stops are used all the time. Why is the Shower Valve So Important? A poor quality shower valve could be a crucial point of weakness in your home's plumbing. Leaks, and in worse cases flooding, often begin at the shower rough-in valve. The reason being, the valve is hidden behind the tile. This means you won't necessarily be aware of a problem until it's too late. With a bathroom sink faucet you will be easily able to notice dripping. This would indicate a seal might have failed or that a crack is forming. 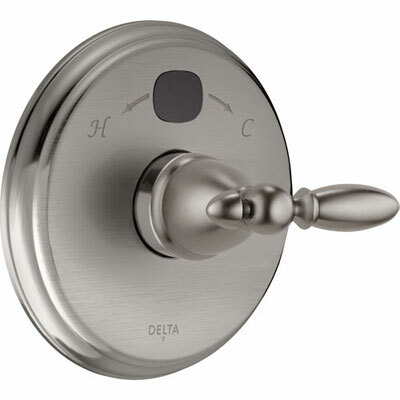 With a shower valve you'll never really know what is going on since you can't see it. Therefore it's important to go with a reputable brand when you purchase your shower. Almost all major brands are a safe bet. It's tempting to look at the cheap imported showers for sale online. But we recommend not skimping when it comes to your shower. You can go for a less expensive sink faucet but please consider the worst case when it comes to your shower. If the valve fails and your home floods, major damage is likely to occur. Most major brands have flood insurance that protects you against this kind of catastrophic failure. Good choices include well-known brands like Delta, Moen, Kohler, Grohe, HansGrohe, Price Pfister, American Standard, and others. Look for a brand with a lifetime warranty. Also, look for a brand with a name you recognize. This gives you a better chance they'll still be around down the line if you ever need help. 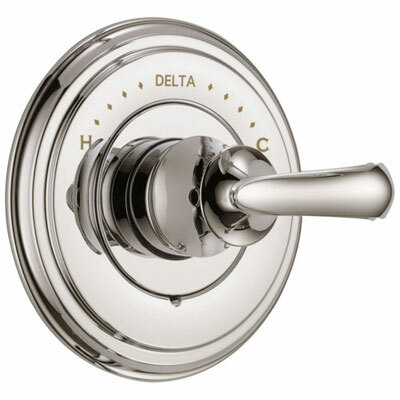 Delta shower rough in valves are a great choice for many reasons. We are a big fan of their universal installation capabilities. We are also a fan of having a large company standing behind the valve in an important place like the shower. In addition to the catastrophic situation of a flood, it's important to choose a high quality valve so you are unlikely to have to deal with a replacement in the future. However, in the case that your shower valve does fail and needs to be replaced, it's very important that you are able to still contact the company who made it. This allows you access to replacement parts and warranty service. It also means you will likely be able to replace just the shower valve, rather than having to replace your entire shower. The Shower Valve you install in your wall is an important thing to consider. If you have the walls open, you can choose any valve you like so why not go with something high-quality? Don't let the plumber or contractor pressure you into getting a cheap shower valve from a big box store. Don't go shopping online looking for deals and order something from a no name import brand. Get a Shower rough-in valve with a warranty and big company that stands behind it. When deciding on a Shower rough in with Stops or without Stops take a minute to consider your use case. If you live in a single family home and are trying to keep costs down, the Valve without Stops is likely fine. If you are in a multi-family complex, definitely go with the version with stops. Remember though, Stops have some benefits even in a single family home. And you can't change your mind once the valves are in the wall and the tiles are up. For a small increase in price you may find the benefits of Shower Valves with Stops outweigh the very minor increase in price (around $20-30 depending on brand). 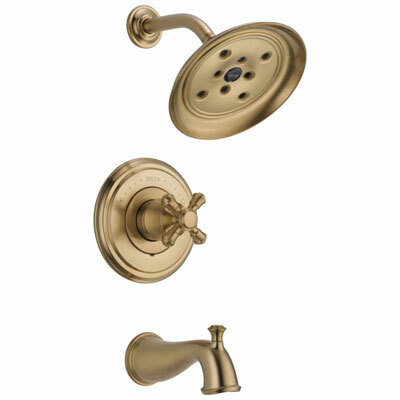 Remember, when shopping for a shower faucet you need to purchase both a trim kit and a rough-in valve. This guide was designed to assist you with understanding the difference between a rough-in valve with stops and one without stops. If you are having trouble figuring out which trim kits go with with rough-in valves, we have made this easy by creating handy packages that contain both parts. Guaranteed compatible, we make shopping easy! 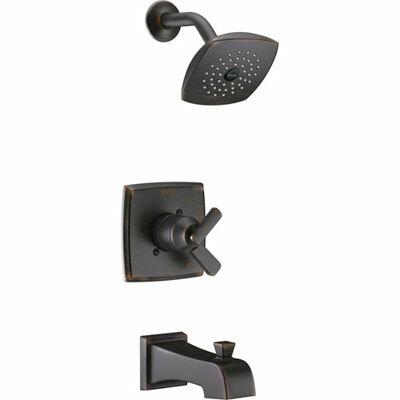 Take a look at our many great complete shower faucets and order today! 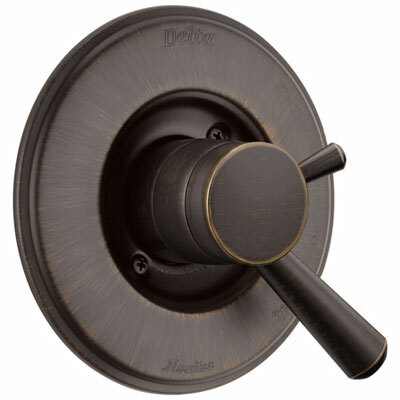 At FaucetList.com we are big fans of the Delta brand. The valve is just one of several major components found in a shower. 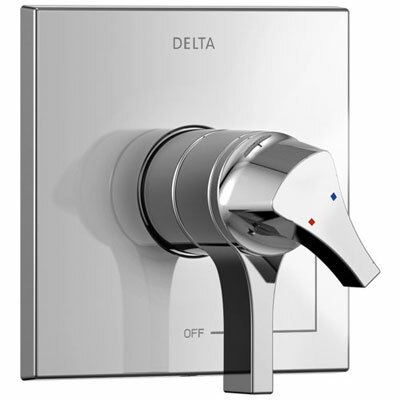 We recommend you check out another article we wrote that contains tons of useful information about Delta Shower Faucets. We have over 40 years' experience in the plumbing industry so if you still need help feel free to Contact us! You are also welcome to ask your question in the comment section below. Hi George, glad the article was helpful for you and I appreciate your kind words. Thanks! Hello There, Thanks for sharing This Post about Change A Shower Valve. It’s very Helpful Post, by reading your Blog People are benefited to install or fix their Shower Valve. thanks again for your Dedication. Hi Earl, the screwdriver stops open and close as you rotate the screwdriver left and right. To fully shut off the water, you should turn the stop as far as it will go. To open the flow of water you should turn the shower valve stop in the opposite direction until it is no longer blocking the inlet. Thanks! With shower stops, do you turn the screws on the hot and cold valve stop as far as you can turning right or left? If there is an access panel on the other side of the shower wall to get to the plumbing, would you choose to install quarter turn ball shutoff valves instead of getting a shower valve with stops? Which are more reliable in the long run?